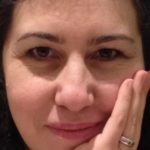 British publishing is very resistant to books from other countries, with only a small proportion of children’s books published in translation here, so IBBY UK welcomes an enterprising new publisher that is bringing Iranian books to a British audience, widening and enriching our children’s reading. Tiny Owl was founded by Delaram Ghanimifard and her husband, Karim Arghandehpour. They published eight picture books in translation last year, with a further six in their catalogue for this year. Beautifully produced, these books are a revelation of the quality of Iranian writing and illustrating for children. They have been critically acclaimed and were the subject of a feature on the Guardian website introduced by Hans Andersen Award winner David Almond. Delaram, would you tell us something about yourself and your colleagues at Tiny Owl? What is your background and what brought you into children’s publishing? My husband and I started this work together in 2012. We were journalists back in Iran where we lived, and we moved to the UK in 2010 mainly because I was starting my PhD in sociology here in London. We are a family of four. Our youngest son was nine years old at the time, and went straight to year 5 without knowing English properly. He especially couldn’t read or write in English. Looking in the libraries and bookstores for books for him, I realised there were not many picture books appreciating cultural diversity, even though I could see that many of his friends at school were from diverse backgrounds. We started thinking that in today’s multicultural world, there was a deep gap between the reality of the society and the way it was reflected in books for children. This was the first seeds of thought for Tiny Owl. What made you want to start a publishing venture in the U.K. in particular? London is a cultural hub, an important centre for arts and culture. We believe that we have material of cultural and artistic value. We thought then and still believe that our books fit in here. It also felt so right to give back something to the society here in return for the warm support our children received here at school. And where did the name Tiny Owl come from? We came across the name Tiny Owl accidentally. We had a list of names that somehow related to Iran. None of those names seemed right because they might sound foreign and unapproachable (especially for children's books). Besides, we were not just publishing for Iranians. Then I came across a picture of a baby owl in Pinterest, captioned "tiny owl”. I thought this is what we want: “Tiny” for children; and "Owl" for knowledge! One of my friends even suggested that if we ever wanted to abbreviate the name it would be TOP (Tiny Owl Publishing). You have begun at Tiny Owl with translations of some beautiful Iranian picture books, some classic and some newer works, which are striking in their originality and beauty, the range of illustrative styles and the thoughtfulness of their stories. How typical are they of Iranian picture books and how do you choose which books to publish in translation? There is a thriving picture book market in Iran. Illustrating modern children's picture books in Iran probably started with school textbooks about 70 years ago. Modern picture books started in the early 1960s. Among the first picture book creators were Nooreddin Zarrinkelk, Farshid Mesghali, and Parviz Kalantari. 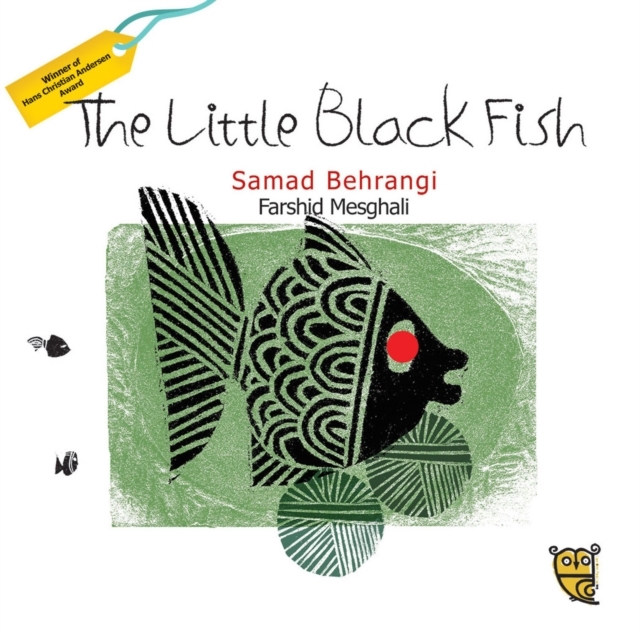 We have books illustrated by Mesghali and Kalantari on the Tiny Owl list, including The Little Black Fish, perhaps the best known of Iranian picture books, which was written by Samad Behrangi and illustrated by Farshid Mesghali. Mesghali won IBBY’s Hans Christian Andersen Award for illustration in 1974 and this is the first time The Little Black Fish has been published in the UK with its original illustrations. There are now many young illustrators in Iran producing artistic works of high quality for children. These illustrators win credible international prizes each year. We have had the chance to introduce only a few of them. Each of them have a unique style and deserve to be known to a wider audience. You can find more about our authors and illustrators on our website. The quality of translation is crucial in expressing an author’s voice in another language. How do you find your translators and what is their background? Can you tell us about the process of publishing a book in translation? Translating books is a difficult process. It’s not only the language that needs translating, sometimes signifiers and signified needs special consideration as well. Just to give an example to make this clear, ‘rain’ for a usually hot and dry climate like Iran’s is a sign of happiness and hope. On the other hand, ‘sunshine’ is usual and so doesn’t attract much attention. How can we translate ‘rain’ with its attached meanings into English? Our translator from Persian to English is Azita Rassi. She is a professional translator and familiar with translating children’s books. She is also a mother herself and reads a lot to her children. So she is very passionate about the work. After translating the works, we pass them on to our English editor. Pippa Goodhart has edited our 2015 collection. She made sure that the final text of a book didn’t sound like a translation. Can you tell us something about the history of Iranian illustration for children and where contemporary Iranian picture book illustrators are finding their inspiration? Many traditions from around the world have influenced Iranian illustrators, but most of all they are inspired by Persian miniatures and Iranian coffee house painting. The Persian miniature tradition goes back to the 13th century and it was the way that Iranians illustrated books like Shahnameh (The Book of Kings) or Kelileh and Demneh, the translation of Panchatantra (Sanskrit animal fables originally from India). Coffee house paintings are a modern take on another old art, which we call Pardekhani. A parde is a large canvas full of illustrations of a story. In old times, someone called a Pardekkhan would stand in front of a parde and, pointing to the relevant parts of the illustration, he would tell the story of that parde. The stories were usually from Shahnameh, which is ancient Persian myths and legends, or it could be a religious story. We have a blog post about Pardekhani on our website that explains everything. Modern artists in Iran draw paintings like parde, but in different sizes and frame them for wall decoration. These are called coffee house paintings because the original Pardekhani were often performed in coffee houses. Both these traditions influence Iranian picture book artists as well as influences outside Iran. What has been the response to your books? It must have been very exciting to be featured on the Guardian website last year and to be endorsed by David Almond. We are a very new publishing house. We started publishing books only one year ago. 2015, our first year of work, was very exciting, rewarding, and stressful. Being featured in the Guardian website was the best thing in 2015 for us: and then the Guardian selected The Little Black Fish and When I Coloured the World as two of the best children’s books of 2015! We are still trying to get our voice heard and to be recognised. It is extremely difficult for us to squeeze ourselves into the market here. Tiny Owl books are ‘different’. And, as much as the British people are open to accept diversity and welcome new and different ideas and works, the market is reluctant to risk and make space for anything different. But we believe in our work. Our books are truly works of art, and we believe that we can find our way. What are your future plans for Tiny Owl? When we started Tiny Owl we never intended just to publish books from Iran. And this is not our intention now. But we knew the good books, the authors and artists from Iran. We knew the language and we could make a better judgment. This is just a start. We are working on two big projects now. One is to match the best authors that we know with the best illustrators and form a kind of a cultural dialogue. The second is exploring the world of children books beyond Iran and to publish the best from other countries. The idea of books as a cultural dialogue is fascinating. Can you tell us a little more about the thinking behind your plans to bring together authors and illustrators from different backgrounds? We have decided to go a step further than just translating books into English because we discovered that picture book traditions are a bit different in the UK compared with Iran. This was especially due to the way the stories are narrated through both text and illustrations. There is a cultural way of looking at things, so even when you translate something, you sometimes lose the essence of the subject in translation. So we thought we need to look at a story from two cultural perspectives and create a sort of intercultural dialogue. Picture books are a good way to do this, as we have the text narrative and the illustrations both working in collaboration to tell the story. The first books that we have produced like this will be out in Autumn 2016. 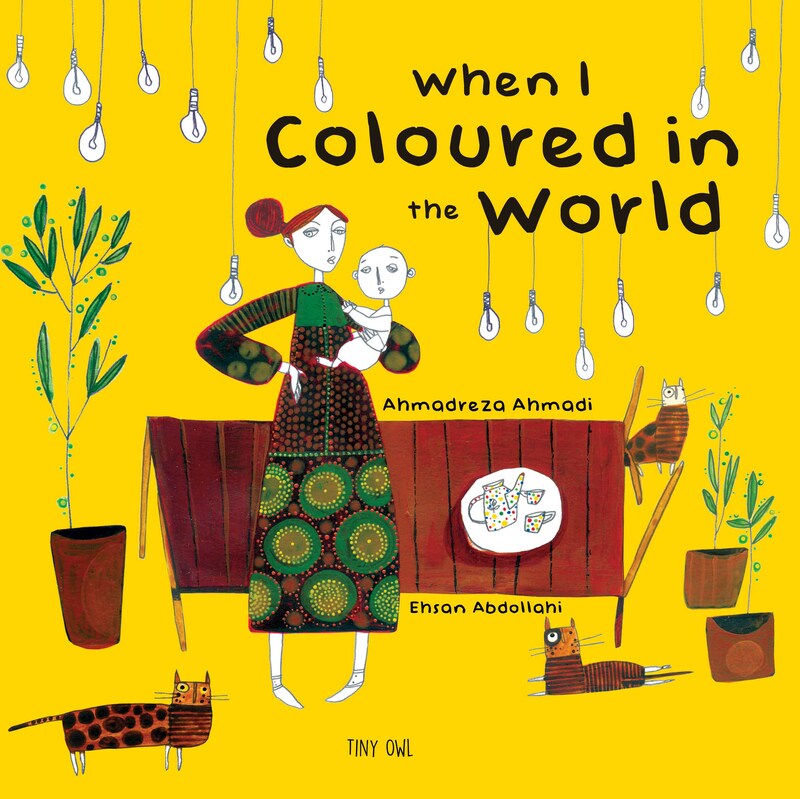 One of them, A Bottle of Happiness, has been written by our English editor Pippa Goodhart and illustrated by Ehsan Abdollahi, who is also the illustrator of When I Coloured in the World. A Bottle of Happiness will be published next October. In IBBY, we have a belief that children’s books can build bridges between nations. What do you think in general is the value of children hearing stories and reading books from other cultures? Children’s books can be the messengers of peace and friendship. Children’s books share the story of a people with children in the most beautiful way. They increase children’s understandings of each other. I hope that Tiny Owl can do the same, so that when people hear the name of Iran, they are reminded of “the merchant who loved her parrot”, or “the child who colours the world with kind and beautiful colours”, or “the red little chick who learns to fly when he finds another bird just like himself”; instead of remembering the perhaps frightening image of Iran that sometimes appears in the news. Thank you Delaram for sharing these thoughts with us. We look forward to another good year for Tiny Owl. Delaram has also been interviewed by Marjorie Coughlan on her website MirrorsWindowsDoors.